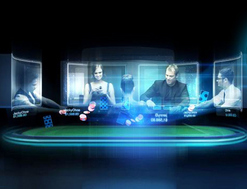 Independent UK advertising regulator, the Advertising Standards Authority (ASA), has decided that a TV ad for 888 Poker and its new PokerCam tables must not be broadcast again in its current form after a complaint was made against the ad, which aired in October last year. The complaint suggested the ad linked gambling with seduction and sexual success. The ad featured a man sitting down to play online and switching on his webcam. A voice-over then says, “Turn your webcam on at 888 Poker and play face-to-face online. You never know who you might meet at a poker cam table. Experience PokerCam tables now at 888poker.com. Get £5 free, no deposit needed. 888poker, we play different.” The ad featured various people waving and interacting with the man including a group of women and also a bikini-clad woman joining the game from beside a swimming pool. In response to the complaint, 888.com said that it did not believe there was anything in the ad to connote sexual success and that the company had been careful with the ad, getting it cleared by external lawyers and Clearcast. According to the site, the ad’s aim was to promote online poker with webcams as a socially-interactive experience and that the characters were waving to each other as friends in a fun environment. The platonic nature of the interactions was said to be reinforced by the diversity of the group in terms of gender and age, and the woman in the bikini was appropriate as this showed how the game could be enjoyed anywhere at any time. Clearcast agreed with 888.com in its argument that the ad did not link gambling to seduction, sexual success, or enhanced attractiveness, and did not suggest that any of the characters became sexually involved. The ASA agreed that it was acceptable to feature attractive people and that this in itself did not imply seduction or sexual success but that the voice-over and the interactions between the players, particularly the movements of the lady by the pool, linked gambling and seduction, and thus breached the code. Tags: Poker Business, 888 Poker, Online Poker, PokerCam Tables, Webcam, Advertising Standards Authority, ASA, Poker News, Poker Advertising.